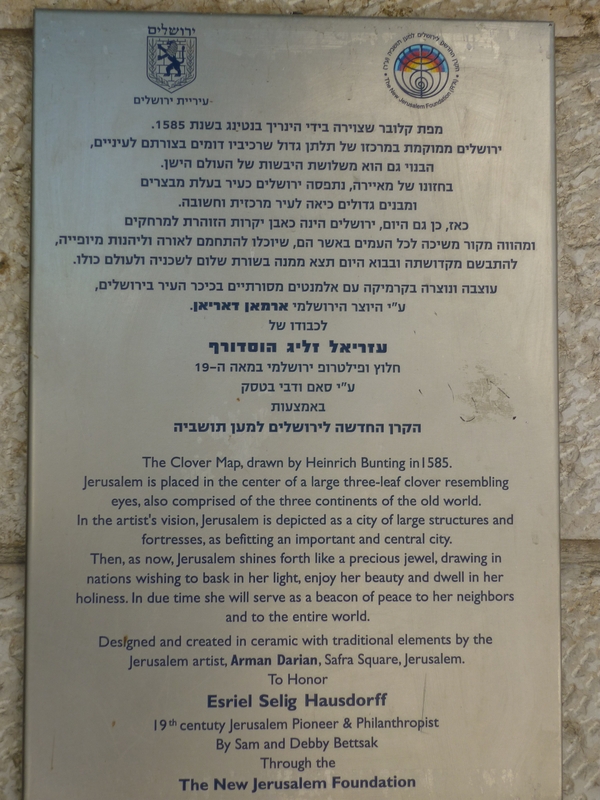 This plaque is outside some University building in Jaffa Street, albeit with the street looking like a mess for the long overdue electric light rail project with road dug up. 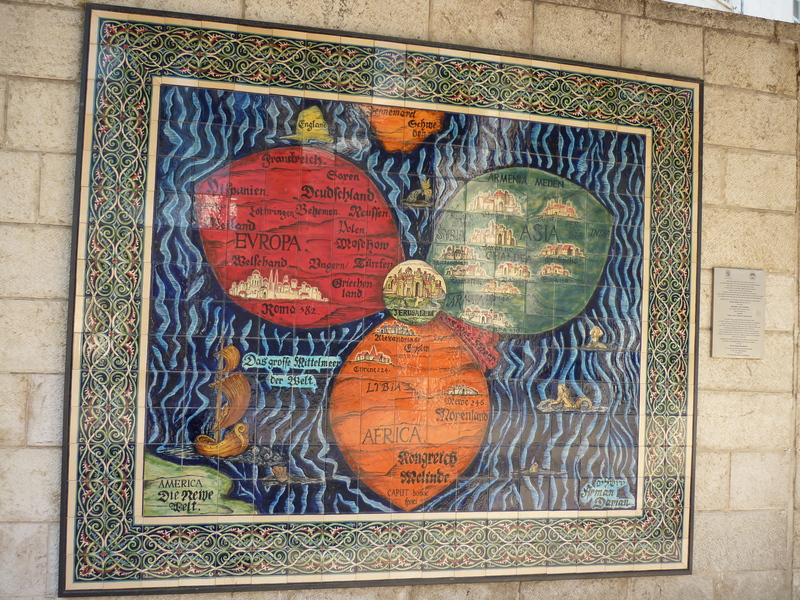 Its a good pictorial view of Jerusalem and Israel being closely wedged between Europe, Africa and Asia. This sign shows its origins. Seen it featured on a few post cards.